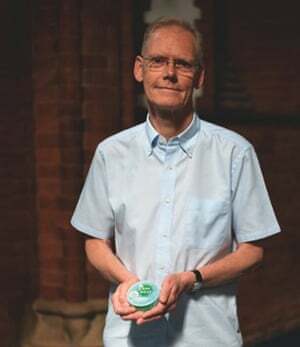 Every week for the past year, Neil Robson has made a trip to his local Co-op and spent around £20 on a bag of shopping that he then carries to theWandsworth food bank in south London. Before he leaves home, he consults a list of the most-wanted items on their website, noting what they’re running out of (basic toiletries, UHT milk, tinned meat, tinned fish). This week he adds a tin of sustainably-sourced tuna to the bag. Food banks have become one of the most potent symbols of the coalition administration and a key theme in the election campaign. In 2010, the food bank was an unfamiliar concept, but five years later, more than 1,000 are operating around the country. 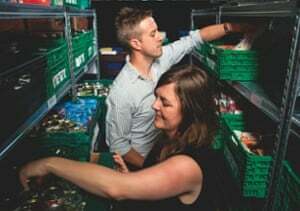 The UK’s largest food bank operator said that in 2014-15, it distributed enough emergency food to give more than a million people three days’ supply. The first issue Jeremy Paxman confronted David Cameron with in his televised interview was food banks; Cameron revealed that he did not know how many there were in the UK. The Labour party has said the rise in food bank use is a sign of a failed welfare state, and promised to slash the number of people reliant on them. What has caused this dramatic rise? For frontline workers, the explanation is simple: that the reform of the welfare system, austerity, the recession and rising living costs have created a pernicious cocktail where people have found themselves unable to cope, struggling to get assistance from the state, and forced to turn to charities for emergency help. According to the Trussell Trust, the UK’s largest network of food banks, with more than 1,000 affiliated food distribution centres, about 43% of people who come to them seeking help cite benefit changes or delays as the cause of their difficulties; around 22% say it is simply the result of low income. A cross-party report in December pointed to structural issues such as delays to benefit payments and harsher sanctioning policies (cutting payments to those who haven’t complied with jobcentre rules), combined with low wages and high living costs. More than 900,000 jobseeker’s allowance claimants were subject to sanctioning penalties in 2013/14 because of a failure to comply with Department for Work and Pensions rules. But politicians on the right have been searching for other plausible explanations. Cameron has occasionally described food banks as a manifestation of the Conservative notion of “big society” in action (Ed Miliband remarked, “I never thought the big society was about feeding hungry children in Britain”). Chief whip Michael Gove suggested that food bank users were guilty of taking decisions that demonstrated they were “not best able to manage their finances”, while theConservative peer, Baroness Anne Jenkin, a member of the all-party inquiry into hunger and food poverty, concluded that “poor people do not know how to cook”. Robson is reluctant to see his actions as a demonstration of the big society in action. “The big society strikes me as a political construct, a tainted venture. 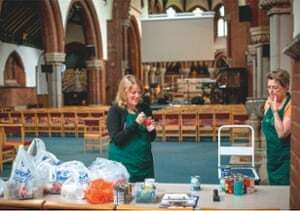 It’s an alternative when the state starts stepping back and the local community steps forward to fill in the space.” He is annoyed by the number of politicians who have been disparaging about the work of Britain’s food banks. 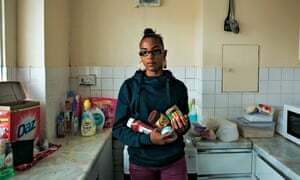 Iain Duncan Smith, work and pensions secretary, has accused the Trussell Trust of publicity-seeking and “scaremongering”, describing food bank users as “often people with dysfunctional lives, people who have been caught in drug addiction and family breakdown”. Ex-Conservative MP Edwina Currie said people who use food banks waste their money on tattoos and dog food. Robson hands his tin of tuna, along with his other purchases, to Dan Frith, the food bank manager. Frith began working with Wandsworth’s five newly opened centres last year when he returned from South Africa, where he had been working at a drop-in centre for street children. The coalition has already cut £20-£25bn from the welfare state, according to the Institute for Fiscal Studies, and George Osborne has said he wants to cut another £12bn if he remains chancellor after the election. The national crisis loan system, whereby jobcentres paid out small grants and loans to vulnerable people in crisis situations (averaging around £50), has been devolved to local authorities and claimants have found it much harder to get a loan. At the same time, there has been a shift away from a country where people in need could expect to turn to the state for essential support, and a step towards a new model where charity is embraced as an essential part of the welfare state. Emergency support is no longer something neutral and discreet; it often comes in the form of church handouts, which can bring unwelcome complications. Despite the best efforts of the charities, the donated food may not be what individuals need. Some outlets are supplied with supermarket castoffs, non-essential items such as bakewell tarts that haven’t sold, unusual flavours of yoghurt (lemon and coconut) that no one wants to buy. It’s not always fresh or a reliable source of sustenance. Oxfam has reported that some recipients are forced to return packages of rice, spaghetti and soup since, with no money, they are unable to pay for electricity to cook the food. Sandra Harding hands out tea to the people coming in. 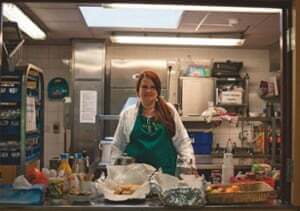 She volunteers here when she isn’t working, because she knows what it’s like to need help from a food bank; four years ago, she was on the receiving end. “I felt humiliated, I suppose. That’s maybe why I wanted to volunteer. Although the Trussell Trust is a Christian body, over the past four years food bank volunteers have emerged in all communities. Jagraj Singh volunteers at Sri Guru Singh Sabha Sikh temple in Southall, west London, which feeds up to 10,000 people weekly; anyone is welcome. Although numbers are not formally monitored, he has seen a sharp increase in non-Sikh visitors. “We are seeing more people who are down on their luck, who have become homeless,” he says. Aware of the rising demand, volunteers are taking the Sikh practice of langar (offering a free communal meal) on to the streets of Southall and other parts of Britain. Chaunte Campbell, 23, takes home the tin of tuna donated by Robson, with a bag of provisions that also contains spaghetti bolognese, a jar of hot chocolate powder, some meatball sauce, soup, hot dogs, noodles, Aunt Bessie’s dumpling mix, rice, longlife milk, Weetos, kitchen roll, toilet roll and apple juice. This is the fourth time she has been to the food bank this year. “The first time was when my son turned five and my benefit changed from income support to jobseeker’s allowance. There was a delay. My money stopped, but they didn’t tell me it was going to stop. I only found out when I looked at my bank account. 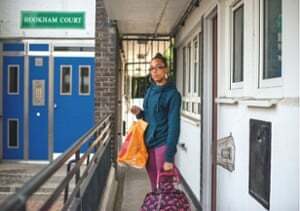 This time, her benefits have been reduced for two months, because she applied for only five jobs in a fortnight, when her agreement with the jobcentre stipulates that she should apply for six. Hundreds of thousands of people across the country have benefited similarly over the past year, and many wrestle with this sense of gratitude and anger. Richard Brown, recovering from a series of heart attacks and recently split from his family, was told it would be three weeks before a claim for disability benefit would be processed. He was told he was not eligible for a crisis loan; in the meantime, he found himself living on “thin air”, and had to visit a food bank in Bournemouth. Brian, a researcher with a PhD in medical science, was shocked and furious to find himself driven to food banks after a car accident, marital breakdown and sudden unemployment left him without enough money to live on. He asked for his full name not to be used in this article, because he has recently returned to work. Chaunte Campbell unpacks the food and puts it into her bare cupboards. Her son will be happy this evening, she says, because she has brought back his favourite cereal, Weetos. She has tried to protect him from the impact of the sanctions, making sacrifices herself to make sure he is always properly fed. “There have been days when I’ve eaten less,” she says. This entry was posted in foodbanks and tagged benefit sanctions, dwp, food banks. Bookmark the permalink. Everybody going to vote this week ought to be made to read this before being allowed to place their X.
Neil Robson, you are a star! People like you restore my faith in humanity, I am lucky in that I have never needed to use a food bank (yet), but on behalf of all those that you have helped – thank you! Without vouchers, people are fed in Europe – working poor, poor pensioners and the unemployed. 97 per cent of the benefits bill in the UK is poor pensoners, then working poor, with only about 2 per cent the unemployed. It is the working poor who are the bulk of those in poverty today and going to foodbanks. The social cleansing of London of the poor, means they lose jobs in the one city in the UK with the best chances of work. coming in 2016 for huge numbers of men and women. ANY STATE PENSION AT ALL FOR LIFE. Some people are getting official government forecasts of only £38 per week after 45 years in work. In my case the SERPs opt out means my National Insurance record over a lifetime in work has been wiped out. Remember on Thursday 7 May. The Pensions Minister is a Lib Dem Mr Steve Webb, who said in the newspapers that he was unconcerned about what people thought they were going to get in state pension from next year. The Tories say they have protected pensioners, and Labour says not one word about all these huge losses coming so soon. The Greens abandoned policies that would have ended this starvation in all ages from babes in wombs to grannies. Predictions are that they will lose the 1 MP they have already. UKIP, well read Tory, and even Farage is predicted not to win on Thursday.